Woohoo! 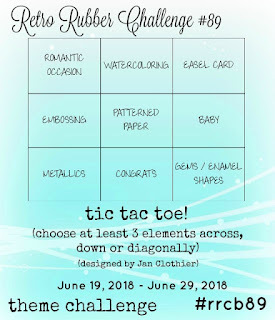 Today I am Guest Designing for the Retro Rubber Blog Challenge #89 "X's and O's" Challenge! 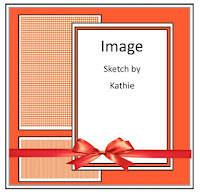 I also am incorporating the Sweet Sketch Wed 2 #138 Sketch Challenge into the design and will be linking to the Word Art Wednesday #338-#339 “Anything Goes”Challenge. If you have not had a chance to visit the Retro Rubber Blog Challenge site yet, or the other challenge galleries, I would encourage you to do so- wonderful ideas and projects by all! 1). 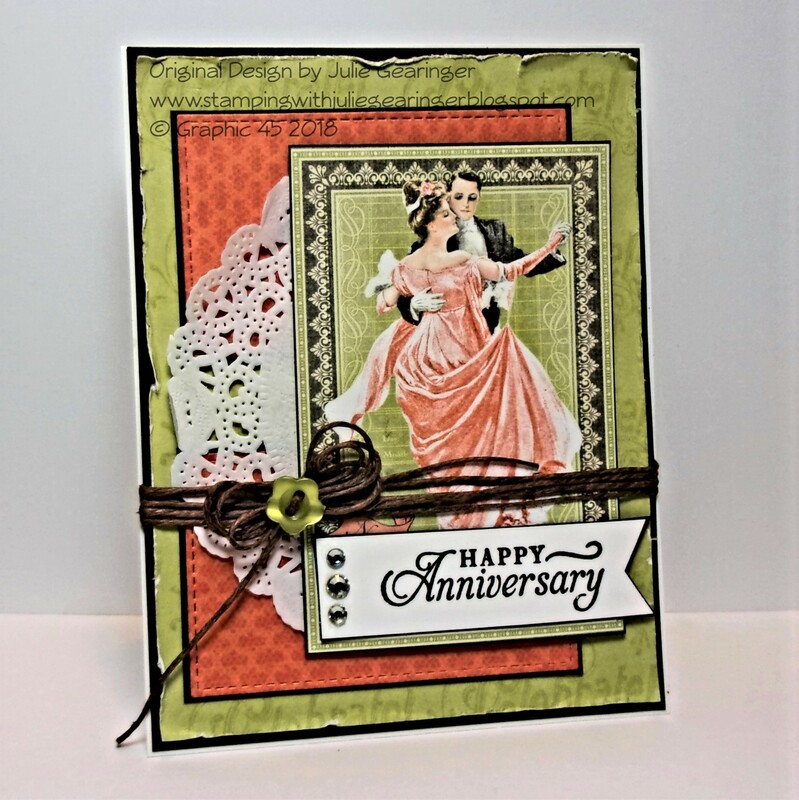 Ink the “Happy Anniversary” sentiment from the Graphic 45 Time to Flourish Set #2 with archival black ink, stamp onto white cardstock, apply clear embossing powder and heat set with a heat tool. Trim the sentiment and create the banner end either by hand or with a punch. Mount onto espresso cardstock and trim close to the edge. 2). Using the “Celebrate” stamp from the same stamp set, ink with green ink and stamp onto a piece of green designer paper. Distress the edges a bit and mount onto a piece of espresso cardstock. 3). Die cut the two smaller rectangle panels with stitched rectangle dies, mount onto espresso cardstock and mount onto the card front. 4). Trim the cut-a-way image from the Graphic 45 Time to Celebrate designer paper, mount onto espresso cardstock, trim close to the edge. 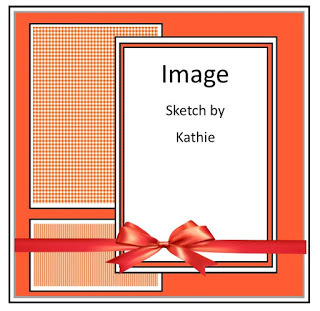 Add ½ of a white paper doily to the back of the image, mount onto the card front with dimensional foam. 5). Wrap the polished hemp twine pieces across the card front, wrapping the ends behind the panel. Mount the entire panel onto the white card base. Add the hemp twine bow with the button (I used hot glue to adhere). 6). Mount the sentiment to the card front and add three rhinestones to finish off the card. Thanks again for visiting- you are all such an encouragement to me!! Hugs and I hope you can join us at the Retro Rubber Blog Challenge! 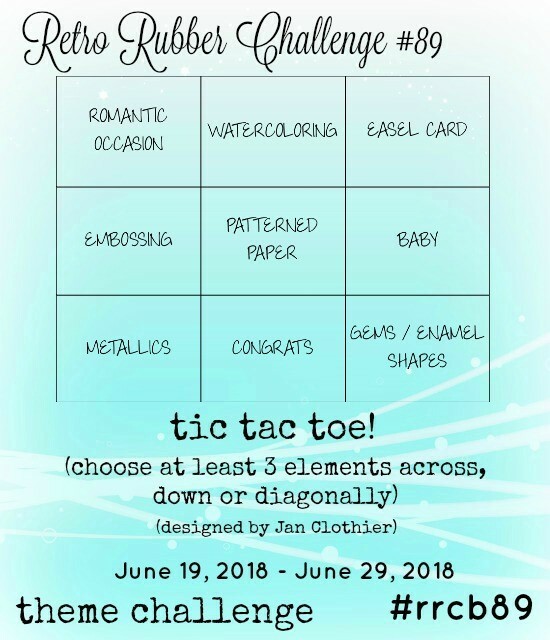 Hello Julie and thank you for being our fabulous Guest Designer for this RETRO RUBBER CHALLENGE. Your card is just gorgeous, love everything about it, the distressing on your panel and how you embellished this amazing image, the doily just adds to the romantic feel of this card, so beautifully created. Thank you for joining us as our Guest Designer this time at RETRO RUBBER, hope to see you in the gallery again soon. Oh, Julie, I love every single detail about this card! The layering and vintage feel is perfectly done!! Thank you for joining us as our Guest Designer. We always love seeing you in our gallery and please join us again soon. TCC95 And Baby Makes Three!